From event transport to staff activity based incentives, and from social outings through to sports team travel – Intransit has a wealth of experience in providing a quick and efficient service – whatever your itinerary. We've provided transport solutions for many years for many occasions – providing official transport during royal visits, high level government talks, conferences, concerts and many, many sports events! We are proud to be the provider of choice for many visiting football, rugby, hockey, volleyball and golf teams. 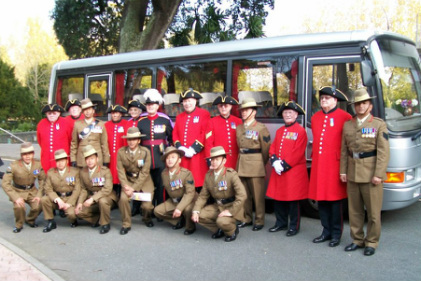 A regular booking in our diary is for the annual visit of the Chelsea Pensioners each May – who we are proud to look after every Liberation Day.